The Ubis 13S boasts the same precision as its predecessor (Ubis 13), but with increased ease of use. 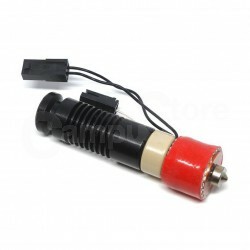 This product includes a spare 0.4mm nozzle and machined heater core key. If you are looking for a replacement for your Ubis 13, the Ubis 13S is the Hot End for you. * 12v Cooling fan required.